The user bumps content on different websites. 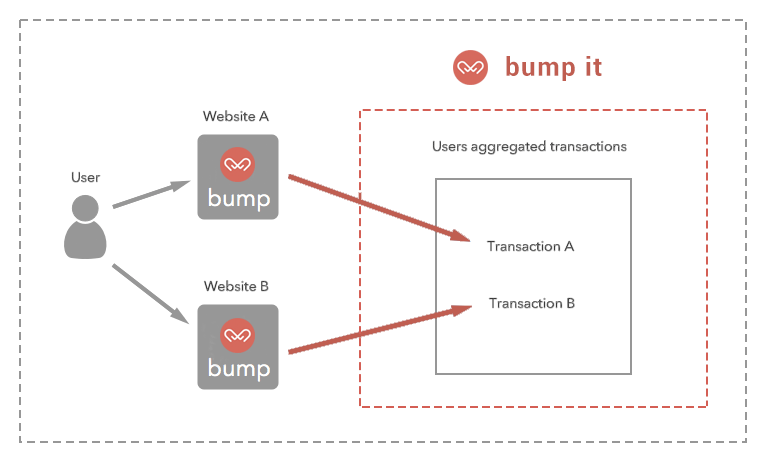 Bumpit aggregates these to a single transaction which the user can conveniently fund later. The user can start using the system by signing up with their Facebook or Twitter account. 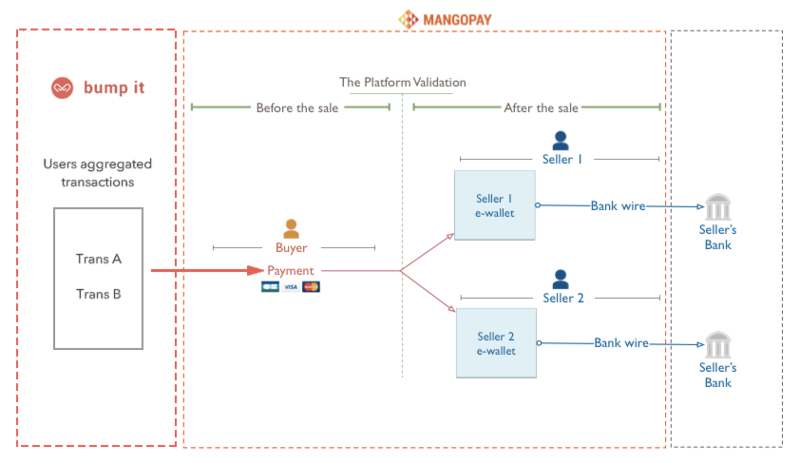 Bumpit uses the Mangopay API to fund users transactions and to wire the proceeds to content creators. Bumpit never handle users money. This allows us to keep the system simple, secure and avoid unnecessary money transmitter regulations.